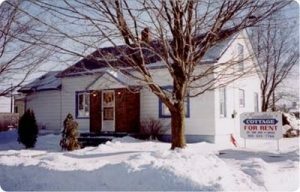 A charming, cottage in downtown St. Ignace. 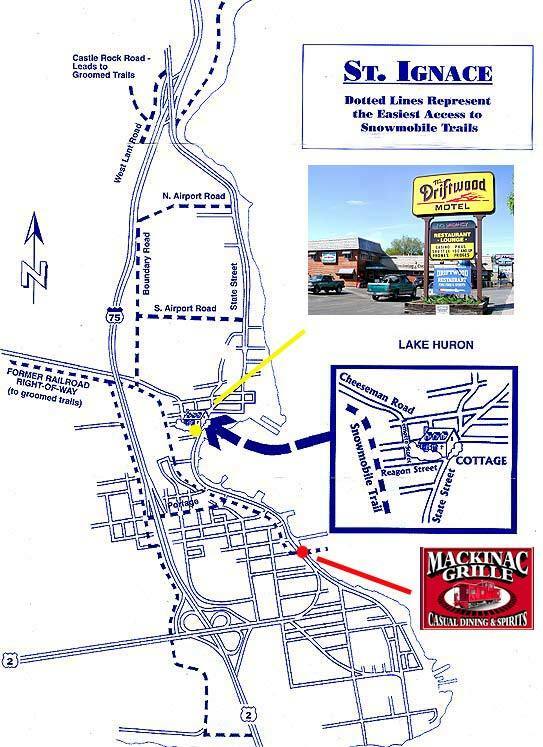 Perfectly situated for enjoying endless hours of great snowmobiling, as well as summer recreation, boating, diving, fishing, ORV riding and sightseeing in the beautiful Straits of Mackinac area. Next door to the popular Driftwood Restaurant and Sports Bar, which serves breakfast, lunch, dinner, and your favorite cocktails. Open 8 a.m. to 2 a.m. daily. Groomed trail networks are accessible right from the front door. There’s no need to trailer your machine for miles to get to the trail. Trail maps available. Plenty of room for cars, trailers, and snowmobiles. Leave your trailer with us while you tour the U.P. Water-resistant Eastern Upper Peninsula snowmobile trail map available. Motel rooms also available next door.